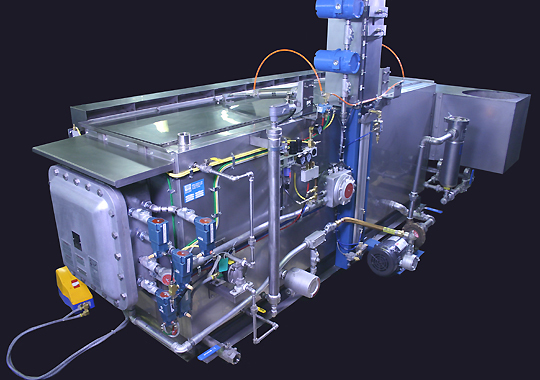 This multi-zone agitating parts washing system was built for an aerospace manufacturer. 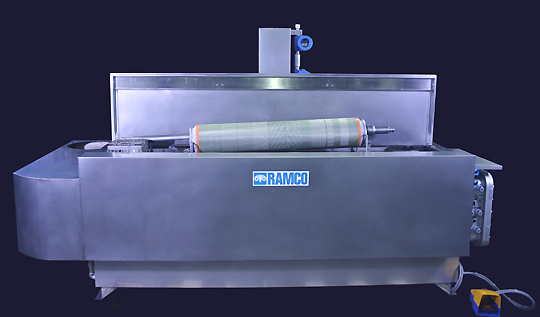 It is designed for washing components in solvent. The components to be cleaned are positioned on a specially designed rack on the transport elevator. A lip vent is included for ducting to a remote blower. The tank and exterior panels are constructed of stainless steel. 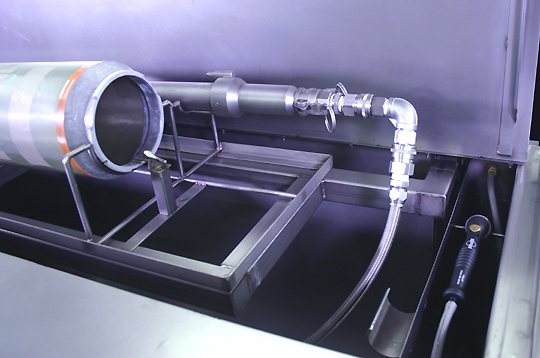 The system is designed for batch immersion washing in solvent, internal flushing of specific components by direct manifold (see below), and manual detailing using a low pressure flow thru brush. The entire system is explosion proof. The rear view of the system shows the construction of the system in accordance with Class 1 Division 1 standards as per NEC Codes and NFPA Regulations for the solvent being used. 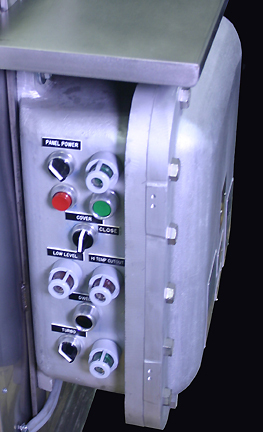 The electrical control panel is shown below.